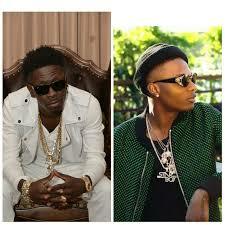 Ghanaian dance hall artiste, Shatta Wale has come out to revealed what he thinks of Wizkid. He made this known during an interview he granted on Ghanian radio station Kasapa FM. He said most of his colleagues struck around him rating him as the best and richest African artiste but him see him as an ordinary person.